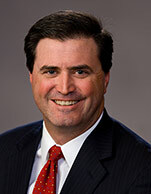 Clay Jeansonne has been Vice President - Investor & Public Relations for LINN Energy, LLC since 2007. He began his career in oil and gas with the Louisiana Land & Exploration Company (LL&E) in 1990, holding several finance positions within that company. As a result of the merger between LL&E and Burlington Resources, Mr. Jeansonne joined Burlington as its Investor Relations Specialist. In 2001, he joined Pogo Producing Company as Corporate Director of Investor Relations and was promoted to Vice President of Investor Relations. He held that position at Pogo until the sale of the company to Plains Exploration in 2007. Mr. Jeansonne also served as Vice President - Investor Relations and Corporate Communications for CheMatch.com prior to joining Pogo. Mr. Jeansonne received a Master's Degree of Business Administration from the University of Southern Mississippi and a Bachelor's Degree of Science in Computer Sciences from the University of Southwestern Louisiana. He is a past board member and current member of the National Investor Relations Institute - Houston Chapter. In May 2011, the Oil and Gas Investor named Mr. Jeansonne as the winner of its 2010 Best IR Program award.